Clubhead speed is dependent upon two factors: timing and explosiveness. If you can generate a swing that syncs up your lower body with your upper and utilizes the full capability of your vital golf muscles, you stand to put a solid, powerful stroke on the ball. There are a variety of exercises you can practice to improve your timing, but right now we want to focus on becoming explosive. So in this lesson, we teach you how to incorporate simple but highly effective long jump drills into your workout to develop more explosive and controlled golf movements. Some of the game’s greatest players are also some of the most explosive, which means they consistently generate high clubhead speeds to hit the ball farther and with more accuracy. 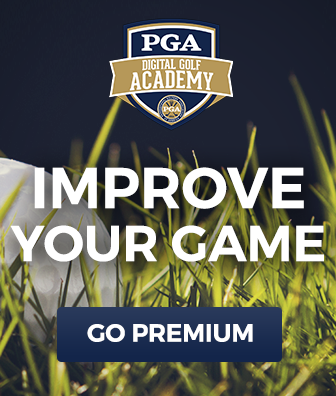 You too can make major improvements to your game by generating higher clubhead speed, and you can do so from the comfort of your own home by routinely completing a quick series of long jump drills. These simple long jump drills require only a few minutes of your time, but they can make a world of difference when you’re out on the course. We demonstrate the standard broad jumps you should begin with, and then teach you to add in some variety once you’ve nailed the basics. You’ll learn how to complete these golf exercises with proper form, being sure to explode through the hips and remain balanced with an athletic base. We also show you how to keep your sensory system on its toes by incorporating rotation into your long jump drills. By rotating, you confuse your body and ask it to adjust midair to land like normal. If you work these long jump drills into your regular training routine, we guarantee you’ll quickly start to feel more explosive with a club in your hands and watch your score shed strokes! 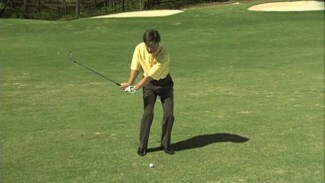 One of the most useful shots in golf is the knockdown shot. This shot is perfect for accessing tough pin locations, hitting shots under the wind or getting out of the trees. Brandel Chamblee and former PGA Teacher of the Year Bill Forrest show you what you can do in your set-up and swing to consistently hit this shot with success. Practice the knockdown shot and you will have a greater ability to shape your shots, control your trajectory and increase your accuracy. 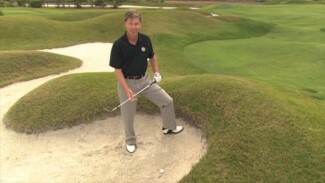 In Bunker Rules, PGA professional Joe Plecker Jr addresses many of the common questions regarding bunker play. In this lesson Joe covers the rules you need to be aware of in order to properly identify your ball and set up for your shot. You will also learn what the rules say about dealing with a bunker rake that may be interfering with the lie of your ball. Knowing the rules of the bunker will give you the confidence to deal with these situations in accordance with the rules of the game.